Formerly called the Mansion House, this stately building was built in 1908 and served as a summer house for U.S. Governor-Generals. It was destroyed in 1945 during the battle for the liberation of the Philippines and later beautifully restored. Although visitors are not allowed inside the house, the property and its grounds make for great photographs. 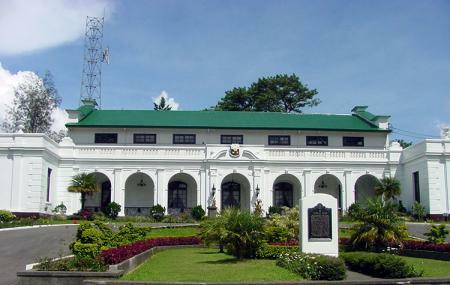 Within the compound and adjacent to the Mansion is a two-story building which serves as the official residence of the Philippine President in Baguio City and nearby is a small amphitheater. Touring inside is not allowed. How popular is The Mansion? People normally club together Mines View Park and Bell House - Camp John Hay while planning their visit to The Mansion.